The Centre for Interdisciplinary Research and Collaboration in Autism (CIRCA) was established in 2009 in UBC’s Faculty of Education. The CIRCA draws faculty, students, provincial service providers, policy makers, and both basic and applied researchers from BC post-secondary institutions together, to address issues of common concern that are relevant to improving the lives of individuals with autism spectrum disorders (ASD) and their families. The CIRCA seeks to drive innovation through the nurturance of transdisciplinary, collaborative work, in order to contribute to the development of knowledge advances across multiple fields of inquiry. 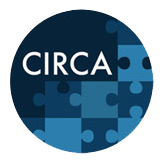 The CIRCA also endeavours to act as an “incubator” for the development of collaborative inquiry and initiatives. There are no upcoming CIRCA events currently scheduled. Please check back soon!